My practice is set in beautiful Santa Monica. As a chiropractor in Santa Monica, I address not only wellness concerns but also pain and injuries. Are you frustrated by chronic low back pain, neck pain, shoulder pain, knee pain, nerve pain, headaches? Do you feel better for a little while after going to a chiropractor or taking a pill and then the nagging pain is back at the most inconvenient time? Not all chiropractors are the same; let me show you how Ramer Chiropractic in Santa Monica is different. I start not only with diagnostic orthopedic and neurologic testing, but also with computerized screening of the muscles around the spine, including those little ones that fire erratically under any kind of stress. This gives both the patient and me an objective assessment of what is going on. It focuses on measuring the electrical activity of the spinal muscles, not unlike an EKG of the heart. .
Next, after charting out a treatment plan to get you a very quick pain relief, we target the root cause of the symptoms. This allows you to prevent a recurrence of the painful episodes. Besides, I do not use High Velocity Adjustments that cause all that popping and cracking during the adjustment. Instead, I focus on low velocity gentle SPECIFIC ADJUSTMENTS which better target the problem area. I use adjunct therapies to help you hold your adjustments better; this can include ultrasound, electric stimulation. or cold laser. All of these provide massage at the cellular level, helping your body to recover much faster. I use cutting edge technology in my clinic, which includes the cold laser which has been well researched and changed the way we think about pain management. Chiropractic is more than just pain relief. Our spines go through misalignments as we go about our day to day lives, and we need to keep the vertebrae aligned if we are to function at our optimum levels. Wellness Care is the heart of Ramer Chiropractic. I not only take care of your spine, we also teach you how to take of your own spine at home. At Ramer Chiropractic I do not ‘treat’ a patient, but enter into a partnership with the patient which makes for a happy healthy patient, always. 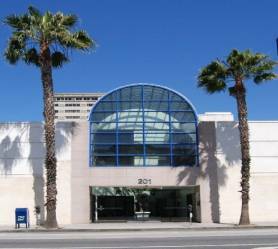 Oh, by the way I have two locations, one in Santa Monica – 201 Wilshire blvd and one in Los Angeles at 6399 Wilshire Blvd. 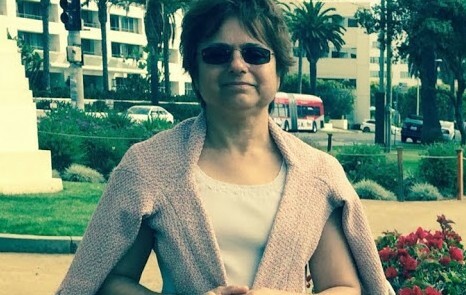 I also have training (from Mumbai, India) as a Yoga Teacher. I have been in Yoga for about 25 years and am a member of the International Association of Yoga Therapists. I have special certification in Brain Traumatology for whiplash injuries. So if you have been in an auto accident or a car crash, come on down for a consultation. I also have a certificate in Pediatrics (FICPA), and am a proud member of the International Chiropractic Pediatric Association. I take most insurances and offer great economic stimulus programs to help you afford chiropractic care. Dr. Pamela Ramer is a licensed Chiropractor in Santa Monica. Santa Monica chiropractor, Dr. Pamela Ramer has been focused on wellness as well as freeing people from pain in the clinic in Santa Monica, CA. As a Chiropractor with experience, Dr. Ramer is committed to promoting optimal health and wellbeing of patients using advanced gentle low-force techniques, using techniques like myofascial release, cranio sacral, activator and impulse adjustments. Dr. Ramer uses a holistic approach. This approach to wellness means looking for underlying causes of pain and plan individualized interventions as well as lifestyle modifications to restore optimum function. This results in quick pain relief and is followed by structural changes. Using this unique approach, Dr. Ramer is able to help you achieve your goals to wellness.